Swirling high in the sky, creating tornado funnel shapes, the migrating birds seem so majestic and intriguing, that I find myself gazing in wonder at their beautiful dance. But then ‘bang, bang, bang’, I’m jolted back to reality as the hunters close in on the poor defenceless birds. Do they really have to shoot these tiny birds, why? Population control? Before I moved to Southern Italy, I had no idea that it was legal to hunt migrating birds, on certain days from September to the end of February. My first encounter was on the very first morning at our new villa, when I was rudely awoken with the sound of gunshot, and pellets hitting my window shutters. OMG what sort of place have I moved to? Why are they shooting at my house? It certainly wasn’t the warm welcome I was hoping to receive from the locals. I was too terrified to even peak out of the shutters to assess the situation. Ever since that day, I have loathed the hunters and still find myself jumping out of my skin when they get too close. The dogs don’t care for them either and usually cower around my ankles. However, this morning whilst walking the dogs I stopped and chatted to a neighbour, who was out hunting, and we exchanged a polite conversation about the weather etc. The conversation soon turned to the huge flock of birds swarming above. He was angry because the birds had eaten large quantities of his olives and he can only protect them (the olives) 3 days a week. He explained that this is his livelihood and the birds are stealing his crop, which he usually sells to support his family. He also blamed the government for not allowing him to protect his land by shooting the birds more frequently, thus reducing the damage to the olives and provide him with an income. On my return walk home, I contemplated what he had said and wondered if I was wrong to hold the hunters in contempt for killing such beautiful migrating birds, when many of them are only trying to protect their livelihood. Should they be free to protect their land? But what about the hunters who roam the countryside, killing birds just for the fun of the ‘sport’, without regard for others living in the, what is normally, very peaceful countryside. Is it right for them to hunt these birds just for ‘sport’? What is the compromise? I love the sound and sight of the little birds, especially en masse, but when they’ve had their fill of our and other people’s olives, I don’t like the jet black poop that stains our lovely white walls!! Ahhh the starlings! I wrote an article about these birds (starlings) in the capital a few years back: http://www.livitaly.com/blog/2013/11/the-starlings-of-rome/. The acids in all that bird poop actually causes a lot of damage to monuments and buildings. In Rome no one can hunt them so they found some humane ways to sort of scoot them away from the city by using a bird distress noise. 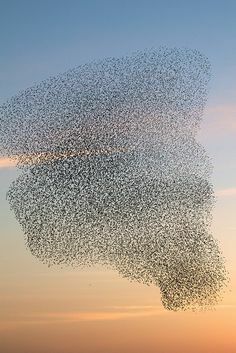 Though I really liked to watch the swarms fly around in such odd patterns, I also found myself walking several blocks out of the way to avoid the thousands of drops of tiny poop! But I had heard that they cause a lot of issues to crops outside of the city…. so sad! Ps- It’s kind of funny to think that these are the same birds that oracles used to observe from the Capitoline to understand what the gods wanted? Today’s pest is yesterday’s divine sign! Yes, quite!…The circle of live… Yesterday is history, tomorrow is a mystery! Thanks for your thoughts on this topic Aubrie. I think bird scarers are a great idea but I’m not sure how practical it would be here as the area is so vast. And then there is the cost element. Who would pay for them? The land owners? The Government? Difficult to say. It still saddens me to see the hunters with their ‘kill’ hanging on their belt. 😢 They don’t hunt the starlings here either, I think it is also illegal to hunt them. They shoot a small grey bird, I’m not sure of the type. Although I was cursing them today, as I thought I’d have to throw out one of my husband’s shirts as it was the victim of the purple poo! I managed to salvage it though! P.S – I enjoyed reading your article on the majestical Starlings. Thanks! And yes, I don’t imagine a bird scarer would be quite as effective in such vast open land. In Rome’s case the city of Rome paid for it (ie. tax revenue). And since having people shoot them down with guns in a major city isn’t an option, and planting some predatory birds might just create new issues, I guess it’s all they could really think to do. But I’ll be curious to see what other solutions people find in the countryside, since netting all those trees and bushes seems costly and endless for such a massive issue. Keep us updated! Reblogged this on Puglian Pleasures.